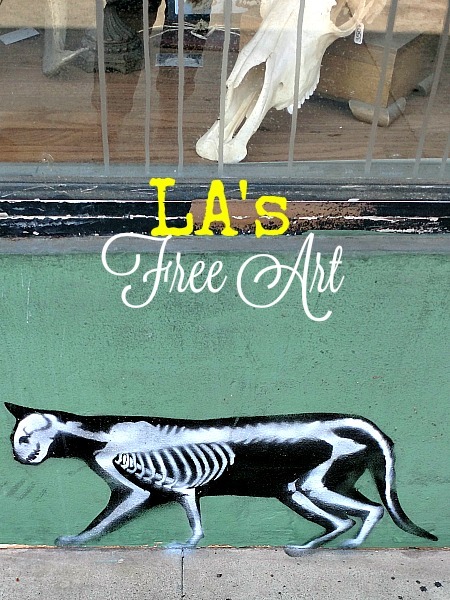 Los Angeles is full of culture and art and, even though the city is expensive, a lot of it is free. I went into planning a trip to Disney with some partial days in the city that didn't cost a fortune. I asked for help from my friends online and they offered a few great ideas. 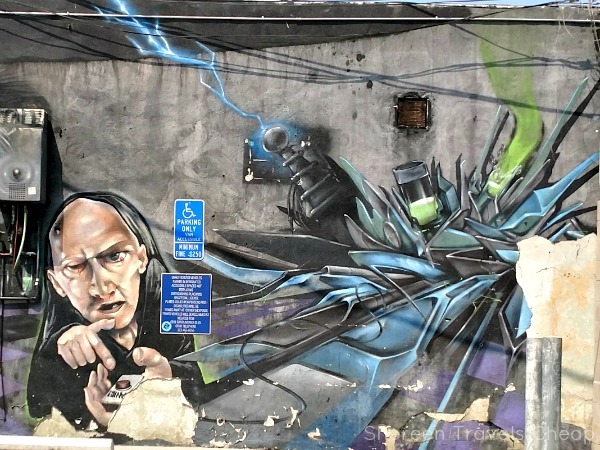 While walking around the city to go to brunch and hit up a gallery we found some awesome street art. We also found some great murals downtown while wandering back to our car. I loved this skeletal cat. It pays to look down wherever you go. We saw this amazing artwork on the back of a building. This was a fab mural that was obviously commissioned by the city. 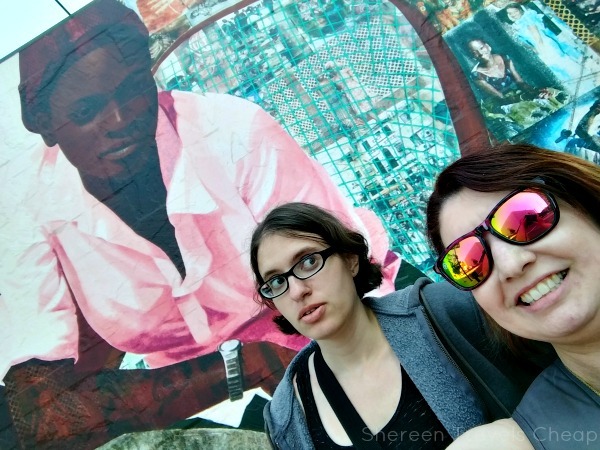 The whole block had murals on the buildings and made for amazing backdrops and photo ops. I was able to snag some free tickets to The Broad. Apparently, these tickets can be hard to get, even though they don't cost anything. 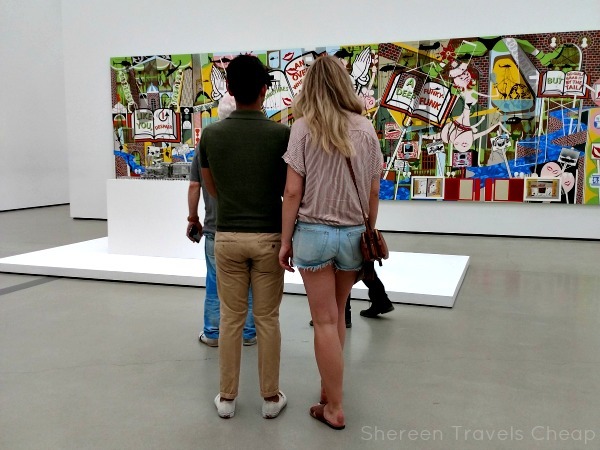 If you're headed to Los Angeles, jump online and get yours ahead of time and then enjoy two floors of modern art - even if you don't love modern art, because there seemed to be enough for everyone to make it worth the trip. 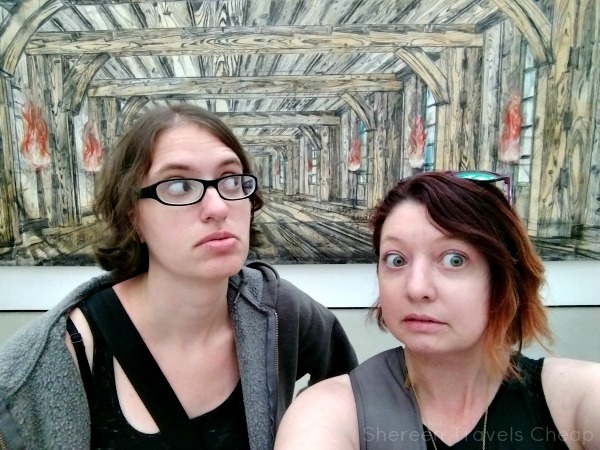 This huge painting had a huge haunted house vibe to me, hence the scared faces. The Broad actually features a lot of well-known artists that you weren't even aware you could see in a free gallery, though I did see a Picasso in London for free, but it was also hanging next to a starfish with a Barbie shoe, so it sort of took away from the awesomeness. 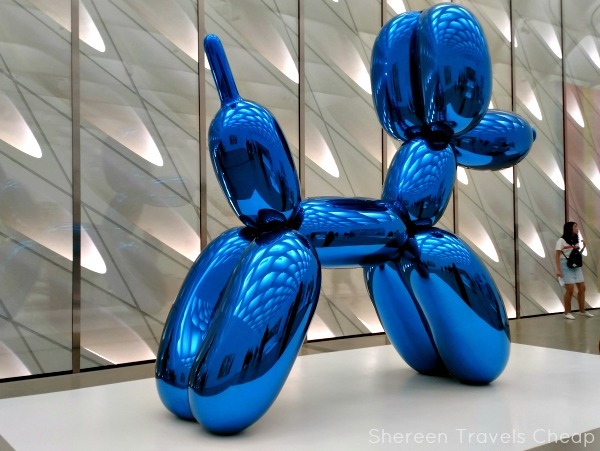 The artwork here rotates, but on the day we were visiting, we saw a handful of artists both of us actually knew of: Koons, Lichtenstein, Warhol, Jasper Johns, and Rauschenberg were just a few. 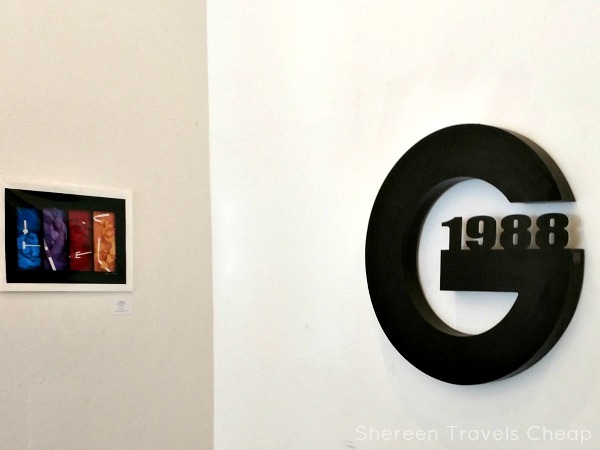 On a slightly more fun note, a friend recommended Gallery 1988. 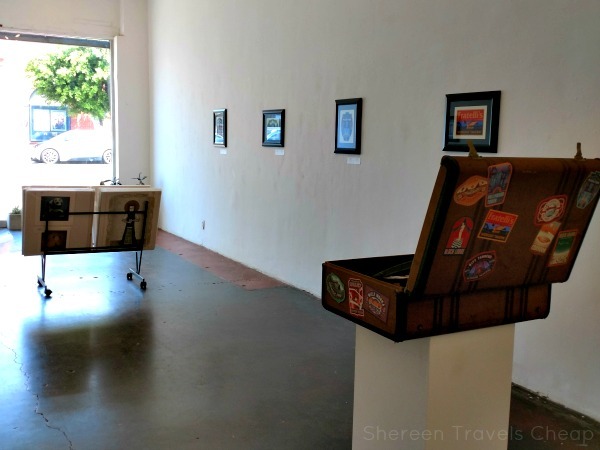 It's a small gallery that features local artist's pop culture work. 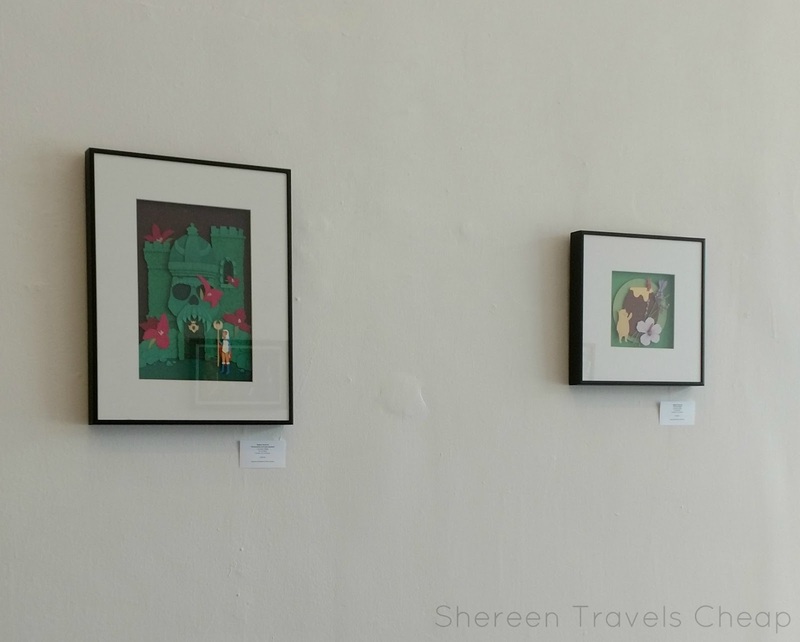 The one room was full of small paper cut art, like this one with the Teenage Mutant Ninja Turtles. Love! Here are a few other pieces in that room. Click on the photo to see the pieces in full resolution. I was so excited about 90% of the stuff here, because it was almost all cartoon-related, which I love. As you can see, the rooms are not large, nor are there a ton of things to see on the walls, but there are a few racks full of a larger selection of art big and small. I, honestly, could have blown my whole budget here. Much of the work is really affordable, but not if you buy 30 pieces. I took down the name of some of my favorite artists there to find online later. If you like pop culture, you should definitely take the time to browse what's on display. These are just a few of the places we found free art, but I know downtown has more galleries and way more street art if you have more time. You'll even see giant murals beautifying the sides of the freeways, which makes for a nicer drive, even if only for a few minutes. 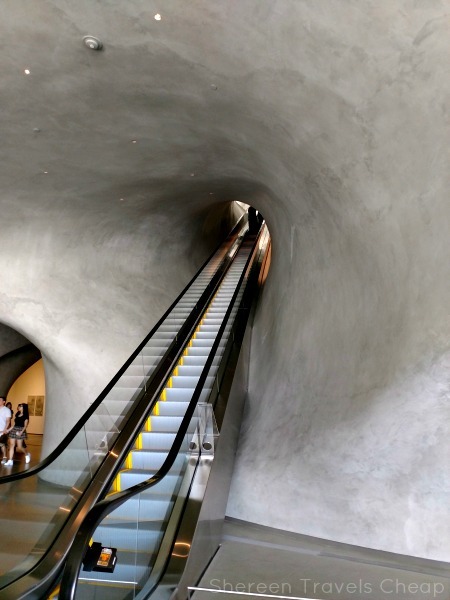 What are you favorite cities for art?